Piscataquis Santa Needs Our Help! A semi-official report tells us that donations are off to a slow start, but the need is great… there’s still a week to go and already Santa already has nearly 600 boys and girls throughout the county who need our help. These kids might be your friends and neighbors. There are plenty of things you can do and plenty of places to drop off donations… visit the Piscataquis Santa Website for more information. Piscataquis Pomona members are reminded you can bring donations to our meeting this coming Thursday. We’re looking for toys, coats, boots, socks, mittens… and cash! Don’t forget we’re also collecting items for Food Cupboard! Meat Or Heat Becomes a Treat! Senior member Laura Pratt was deemed the most honest face at our recent Family Fun Night and as such she got to draw the winner of this year’s “Meat or Heat” Raffle. A lot of folks applauded enthusiastically when we announced the winner was Jim French of French’s Construction in Guilford. It’s always nice to see good things happen to nice people. Jim is a staunch supporter of his community and Valley Grange. For a number of years he’s kept our parking lot plowed and has “been there” when we needed assistance. It seemed especially fitting that we were getting an opportunity to “give something back” to this great guy. Without hesitation, he refused his winnings and donated the prize back to Valley Grange. So now we can fill OUR oil tank… or maybe buy some more dictionaries… we’ll think of something! Saturday, December 5th is the big day! 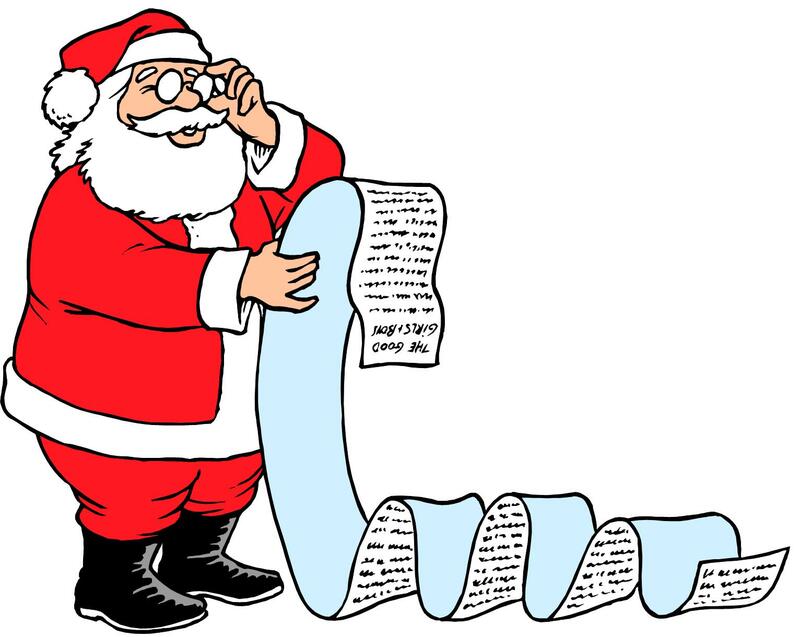 The following list of Family Friendly Christmas Events comes to us courtesy of the Piscataquis Chamber of Commerce as part of this year’s “Shop Locally” campaign. Event organizers are welcome to email additional details to grange@boomsmaonline.com for addding here! Don’t forget to support the Piscataquis Santa effort! Guilford Primary Students have an early dismissal on December 18th and enjoy vacation until January 4th. We’ll miss them! If you could use a little inspiration this Thanksgiving, try visiting this site. Turn your sound on and pay attention. I believe the site is sponsored by a Military Support Group, but it’s not just about the military. Thanksgiving is, it seems to me, a particularly appropriate holiday for Grange folks to feel some kinship with… it’s about the harvest, certainly, and we might do well to note that the bounty of the harvest is always somewhat relative. History tells us that nearly half of those early pilgrims perished during their first year here. And yet they found cause to celebrate and recognized there is always much to be thankful for even when things seem bleak by most standards. No, we can’t necessarily make a silk purse out of a sow’s ear. But we can find value and beauty in almost everything around us. Often times the greatest beauty and the highest value is found in the simplest. We can be thankful for what we have–that’s somewhat the point of the Thanksgiving Meal. But let’s not forget to be thankful for what others do and perhaps, even, for who others are. And while we’re being thankful, why not be thankful for what we do and who we are? Who are our angels… and who’s angels are we? That’s a worthy Thanksgiving Thought! 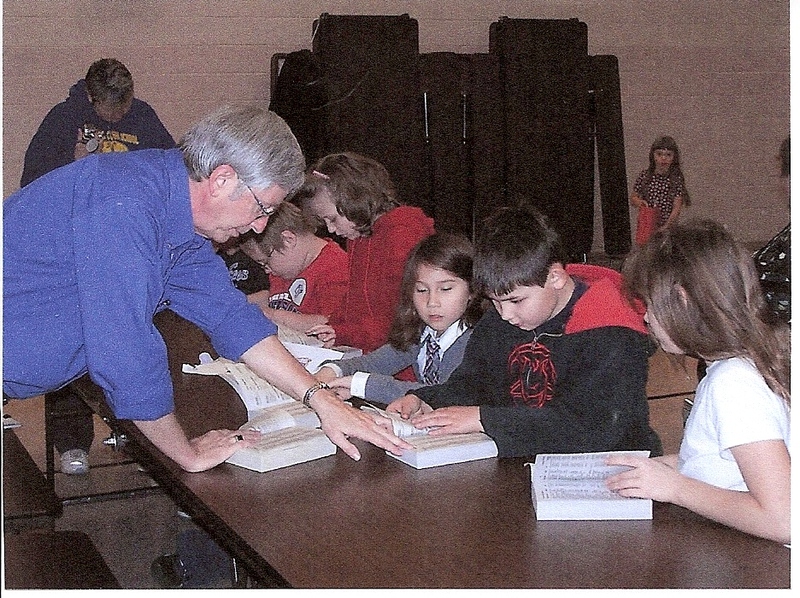 WABI-TV Five called it an Awesome Dictionary Day at Brownville Elementary. If you click that link you can read and see their story! When I checked it this morning, there seemed to be a problem with the sound track. I did send an email to the station about it… so if it doesn’t work for you, you might consider checking back Monday or Tuesday. (And when you check, you might feel compelled [Hint] to leave a positive comment, thanking WABI for their support. They have been extremely supportive of local communities in general and our Grange specifically! Lagrange Scholars learn to "look it up!" It was an awesome day… and inspite of the fact that it rained (indoor recesses) and kids being excited about Thanksgiving Vacation… all the presentations went extremely well. The opening line of the story says it all… when we hand the kids a new book chock full of knowledge, it’s not hard to keep the kids entertained. They actually entertain themselves! Well, that might be a bit of an over-statement… but they sure do love their new dictionaries. Thanks to Grangers Jim Annis and Merna Dunham for helping out… and a special thanks to teachers and administration at the schools. They are super cooperative and helpful in putting together a schedule that makes it possible for our Grange Team to get the dictionaries out in one day/one trip. Working closely with the schools as a bookworm and with the dictionary project gives me a special appreciation for how difficult scheduling can be… it is no small task for A teacher to adjust–let alone three schools and four classes on the same day! This does complete our distribution for this year–at least sort of! We will continue to make dictionaries available to home-schooled third graders and, of course, any students moving into the area. Parents can check with the school or contact the Grange. (I am working on a method for folks to contact us through this site… in the interim you can email grange at boomsmaonline.com–you’ll have to leave out the spaces and change at to @. I’m also waiting for some photos… more to come! With thanks to Mrs. Lombardi, principal of SeDoMoCha Elementary for letting me get a peek at a few samples of these books during the recent RIF Program! I can only explain in “layman’s terms,” but these are books with “alternating pages.” One page is designed to be read by an adult, the next page by the child. In this way the child gets to “hear” part of the book at his or her level, but also is challenged to “move up” a bit to a higher level. The company has introduced a second series called “Half and Half”–half great fiction and half cool facts. You can see the books first hand and even compare the pages at the WeBothRead website. By the way, these books are very affordable… if you order some for yourself you might consider ordering an extra or two to donate to your school or public library. Getting down there wasn’t so bad… But some of us had a little trouble getting up and were a little lame after. All the same, it was a fun day for volunteers Mary, Susan Burleigh, Guy Downing and I! The program is grant-based… and the basic process was followed by grade level… the kids would come to the room where we were set up and got pick a book that was to become theirs to take home. Once the teacher “approved” their choice, they received a foam turkey bookmark to assemble. (That’s what Mary and this little tyke are doing.) Then it was back to their classrooms for a story. I got to read with two classes! I did my “assigned” third grade and then an emergency run with one of the Kinder groups. Mary got to read two books and the kids sang three Thanksgiving songs to her… We all got treats, but I gotta tell you, working with Kinders is a lot like herding cats! Valley Grange Plans Family Fun! With Veterans’ Day Just around the corner, it seems appropriate to clarify a persistent urban myth and provide folks with an opportunity to show support of our troops. For a number of years, there has been an email forwarded around encouraging folks to send Christmas cards to recovering soldiers at Walter Reed Hospital. Do not do this; these cards will not be delivered. There is, however, an alternative. The American Red Cross conducts a “Holiday Mail for Heroes Program” that is already underway. Please note there are some very important guidelines that must be followed… and your cards must arrive at the distribution location by December 7th. (I wonder if anyone saw the irony in that particular day as a deadline!?) One reason this program does work is that all cards are screened. Following the guidelines and mailing before the deadline makes that possible!